A woman's vigilance prevented her from landing in trouble with the authorities after she was given a bag of food items to give to someone in Italy. 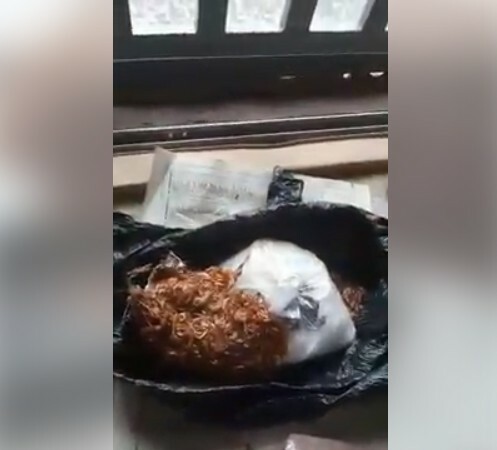 The lady was given food items with hard drugs believed to be cocaine well concealed to avoid physical detection. 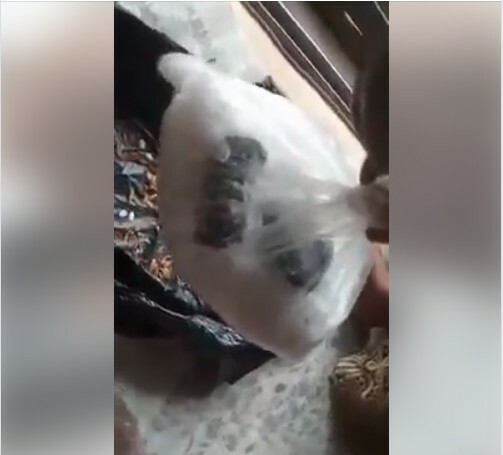 The shocked lady who posted a video of the concealed drugs online, revealed that she was given the item by someone who claimed he wanted her to give them to the sister in Italy. When she asked about the contents of the bag, she was told it contains crayfish, beans, garri and other foodstuffs. 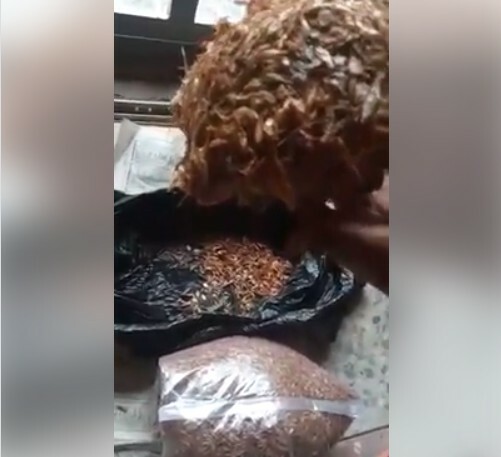 But the lady decided to check the items for herself as she saw the hard drugs well concealed inside one of the crayfish as she raised an alarm and decided to post the video online as to warn Nigerians to be careful in this kind of situation.